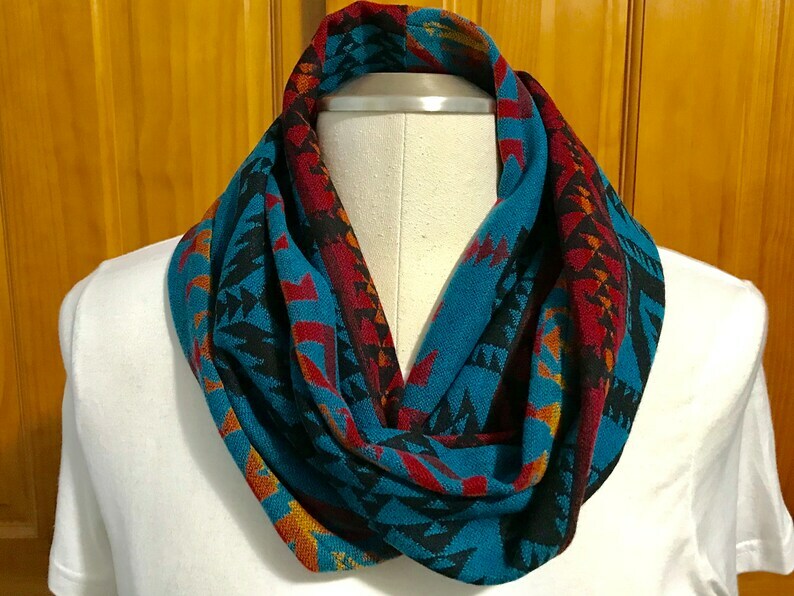 This infinity scarf is handcrafted from Pendleton® light weight fabric. This scarf is tubular so it will keep you warm on cold winter days, and can also be worn as a fashion or accent piece indoors. It is 7 inches wide and 63 inches long.